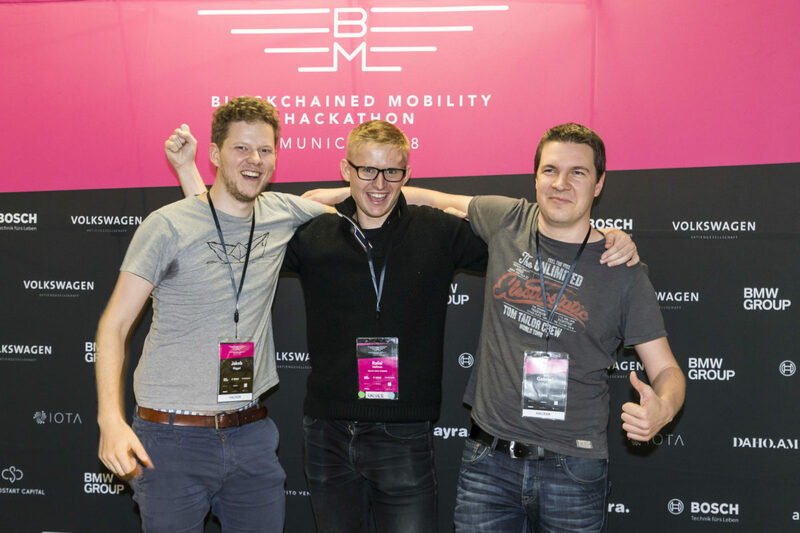 During 21-22.07.18 weekend, I had a pleasure to be a part of the Blockchain Mobility Hackathon in Munich, Germany. As the problem of flexible mobility service is existing in modern society, I would like to present you our idea of blockchain based pay as you go solution. One picture is more than a thousand words :). Great event! Our project was done by people, who met each other just before the hackathon. This is the best part and greatest challenge of hackathons – not only you meet the people but you work with them very closely for the next 48 hours. 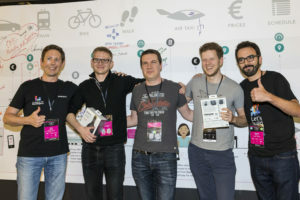 Our team consisted of 5 developers – Rafal Hofman, Dariusz Kowalczyk, Gabriel Zink, Jakob Niggel, Martin Berger. Only some of us have ever touched blockchain, none of us ever developed a mobile app. Big applause for my team members for the hard work! As a reward, we got cool noise-canceling headphones from the Amadeus team :). Thank you! Our project in one sentence? 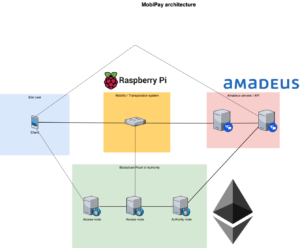 Flexible, decentralized, pay as you go solution, that is currency agnostic and ready for the tokenized economy. 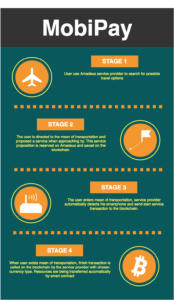 Speaking in human language – imagine you jump on and off train, car, a bike with automatic payment carried out in the background on the blockchain, even when each provider is using different currency/token. Imagine your car provider use CarShare Token but for example, Bike provider use Munchen City Token. You as an end user, do not have to care about it. Just buy the tokens needed and travel without boundaries! Cool, isn’t it? 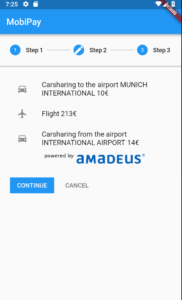 Also, we have integrated our app with perfectly prepared Amadeus API. Even after the hackathon, Amadeus team was curious about our feedback for further improvements. I encourage you to try it in your project. Who knows, maybe it will be the future of travel :)? 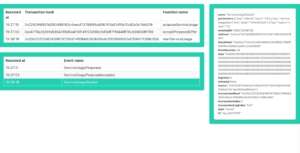 On our GitHub repo, you can find different presentation steps of the app, with screenshots of what is happening on the app, blockchain or service provider simulation. We also consider the app to be quite good documented so you can start it on your own and play :). As we talked with Amadeus team, they are planning to develop their self-service API even more. As some parts of the app were mocked due to lack of reservation services, that would be cool to integrate those into the app when the opportunity comes. What is better than the fully integrated app real-life use case? I hope that our project will inspire you to take part in hackathons and to think and change something in the present what may be the future :). It is good fun! BALTIC DATA SCIENCE Sp. z o. o.